Last month the Italian city of Florence hosted again the Gelato Festival from May 23rd to 27th offering five full days of nothing but pleasure and sweetness. With the gelato fair along come the conventions and business events, but artisanal gelato display and taste each specialty is the center of attraction and is all about having fun in a festive atmosphere. This is the opportunity to taste every artisan’s new gelato combinations, new flavors, classic flavors, strange flavors or various ingredients mixed with the gelato. 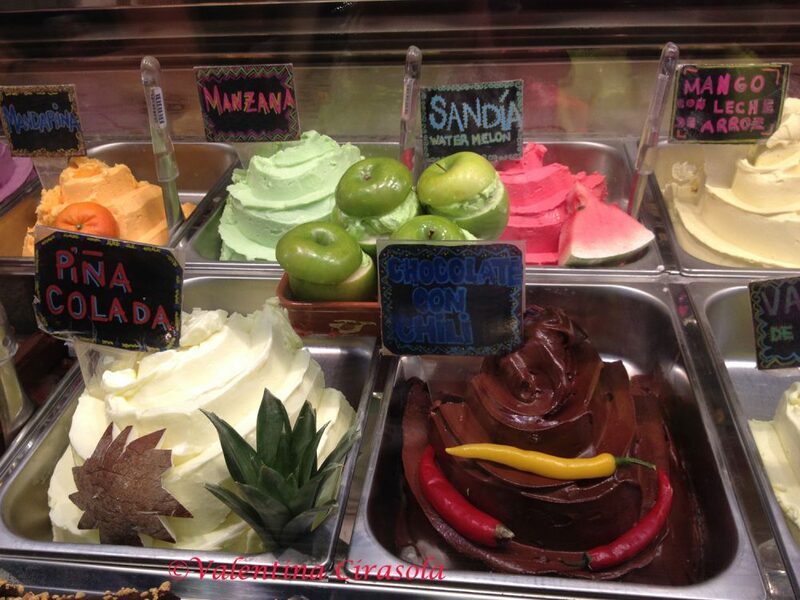 Colors of the rainbow will be on display in each gelateria. I loved the logo used to publicize the event. 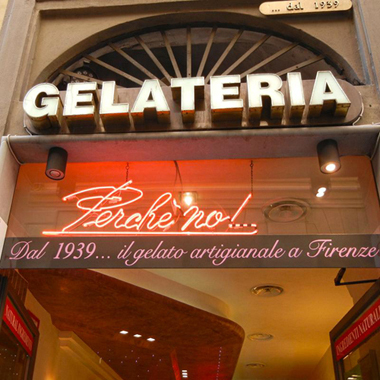 One of my favorite place to visit was the “Gelateria Perche’ No” for a large fragrant cone of gelato combination made of pistachio, dark chocolate and espresso. They know how to do it, they have done it since 1939. Italians are a population of inventors, lovers, poets and navigators. It was an Italian who invented the gelato in the Renaissance, the time when all the arts went through a revival and an awakening after the Dark Ages. It was the right time to reinvent food and entertainment around the table. The new dessert called “crema fredda” or iced cream was made with a base of milk, egg yolks, a bit of wine, flavored with lemons, oranges or bergamot. Caterina de’ Medici took the inventor of crema fredda with her to France to work in her court and delight the guests at her royal table. The de’ Medici lordship always competing with powerful Spaniard rulers were renowned for twisting favors out the Spaniards by corrupting them with new artwork, or extravagant food. Crema fredda was one the food that marveled the Spaniards, who in turn took it to the court of Spain as the Italian speciality of the moment. If de’ Medici ate it, the Spaniards had to have it too on their royal tables. 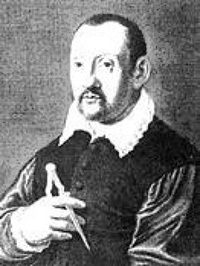 Bernardo Buontalenti, a Florentine born, was the inventor of ice cream and the strange machine in the shape of a closed box which made it. The box was made with an insulated area and a cylinder in the center containing various cold ingredients, which coagulated with the constant movement of spatulas maneuvered by an external level. The ingredients of the new-born ice cream would be mostly snow, salt (for a physical law it lowers the temperature), lemons, sugar, egg whites and milk. Today a person like Bernardo Buontalenti would be called a Jack-of-all-trades, but in the Renaissance he was a master in all of his inventions and designs. He was a multi-faceted person of many passions: painter, sculptor, architect, set designer, stager, royal party organizers, inventor and manufacturer of weapons. Thanks to him, today we can enjoy gelato in all colors and flavors. 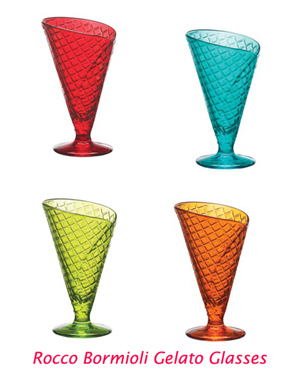 In order to have a complete Italian experience, you need the right Italian gelato glass. I found a colorful set at Joss & Main designed by Rocco Bormioli. At least I can pretend of being in Piazza Pitti tasting my gelato. The difference between ice cream and gelato is a simply a fat factor. Ice cream has more cream and fat, gelato contains milk and the fat is lower between 5-7%. The flavoring is often made with natural products (berries, vanilla, lemon peel, liqueurs) in place of artificial flavorings and colorings. 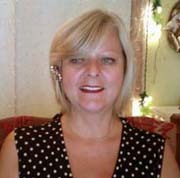 Valentina Cirasola is an Italian Interior Designer with a passion for kitchens and cooking. She especially loves to design all those rooms with a “make me feel good” tag attached, such as kitchens and wine grottos, outdoor kitchens and outdoor rooms, great rooms and entertainment rooms. I’m not sure I’ve ever tried Gelato. Now I think I will search some out! I am sure there is some Italian gelato joint in your area, they are opening up in every city. Thank you for stopping by.